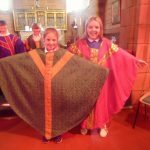 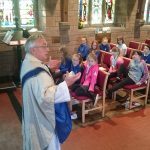 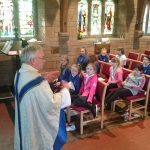 This week we welcomed two more of the P5/6 classes from Lockerbie Primary School, and were delighted to host a day of learning about All Saints Church. 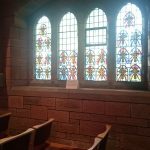 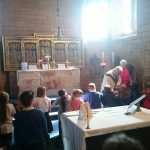 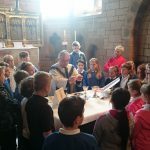 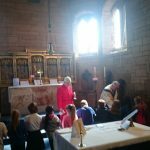 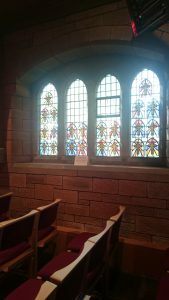 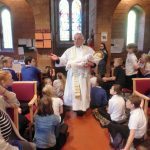 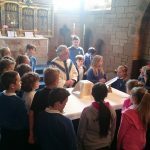 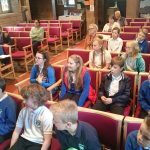 The visit was based on RME Outcomes from the Curriculum for Excellence and the children started by completing quizzes, thoroughly exploring the outside and inside of the church, its stained glass windows and religious artefacts. 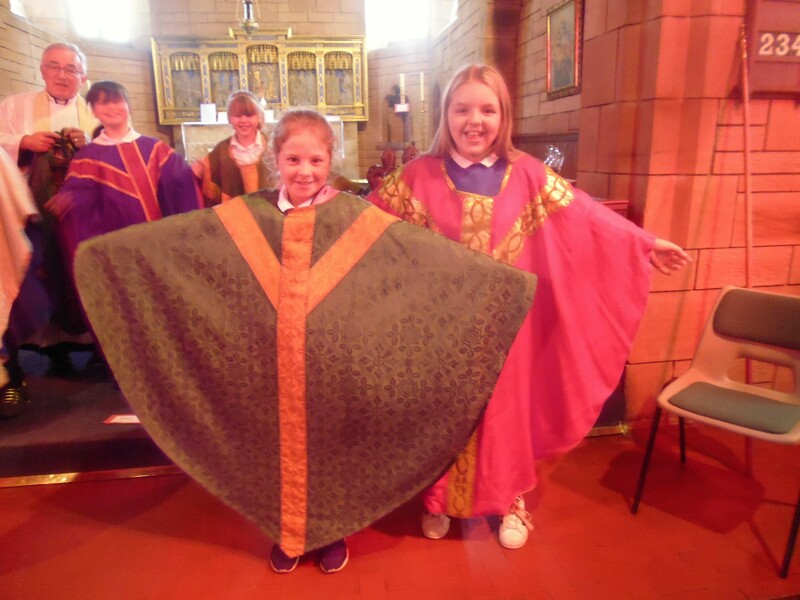 Rev John Macleod then showed them the vestments he wears for services. 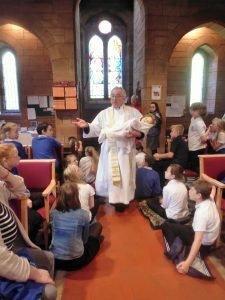 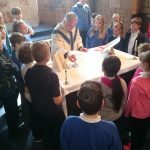 Next they surrounded the altar and watched intently as he demonstrated how Communion is prepared and distributed in the Scottish Episcopal tradition. 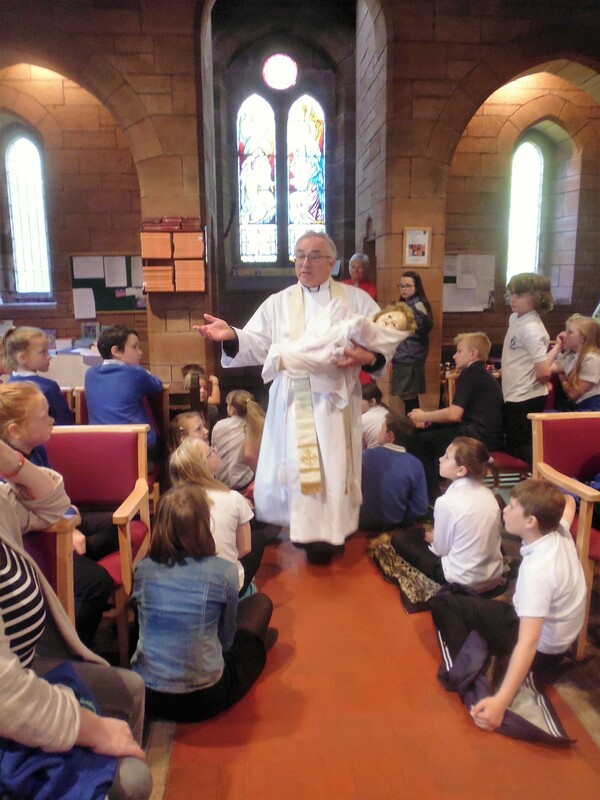 Then they gathered at the font and were completely intrigued as he carefully poured water over a doll’s head and explained the sacrament of baptism. 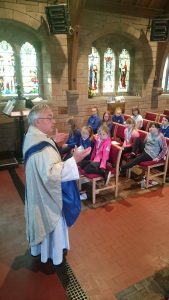 Both groups were also involved in World Week of Work and the visit included discussions, not only with Rev Macleod about his role as a priest, but also with church members David and Pauline Rose and Ron Ritchie about the voluntary work of the church and their individual tasks as members of the congregation. 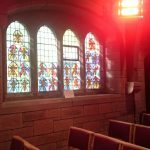 We are delighted to have a ‘new’ stained glass window. 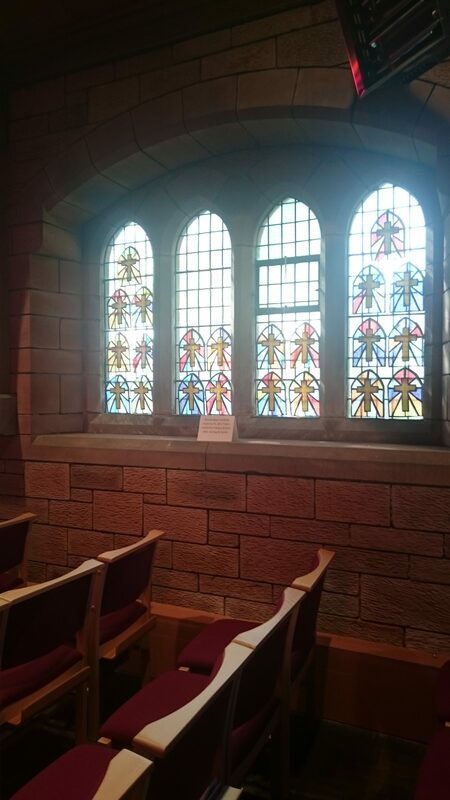 On display in one of the plain windows, the morning light shining through them, are 22 individual card and coloured tissue-paper windows made by Miss Fraser’s P5 class, also from Lockerbie Primary School, who visited in April. 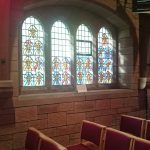 We are grateful to them for adding to the beauty of our lovely little church.